Be Different...Act Normal: Did The World End Where You Are? Did The World End Where You Are? love that. 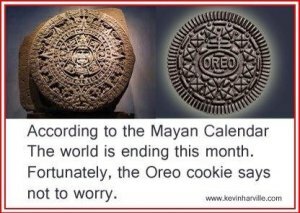 I believe oreo cookies over old calendars anyday. Thanks for the laugh!